Finally someone reveals the real truth about attracting money! 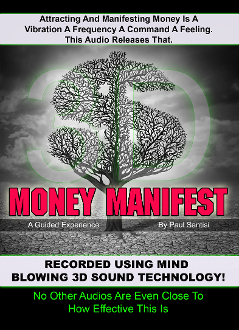 the proven recipe to attract money into your life amazaingly fast! Then the guided meditation in 3D sound will unleash greatness and prosperity to flow to you like a super magnet! This audio is unlike any other audio of its kind. Yes its that effective. You will like who you are about to become!